ANDREW PEPPER HAS STEPPED OUT OF THE CABARET ROOM FOR A WEE WHILE. CALM DOWN NOW, HE'LL BE BACK REAL SOON, BUT UNTIL THEN...LOOK! Andrew will be playing Charles Guiteau who assassinated President Garfield. Directed by Louise Bakker, with musical direction by Jordan Clarke, the production is on for a mere 3 weeks. 3 weeks! Don't go blinking now! In fact, book tickets PRONTO! IN OCTOBER, HE RETURNED TO THE CRAZY COQS FOR TWO DATES. 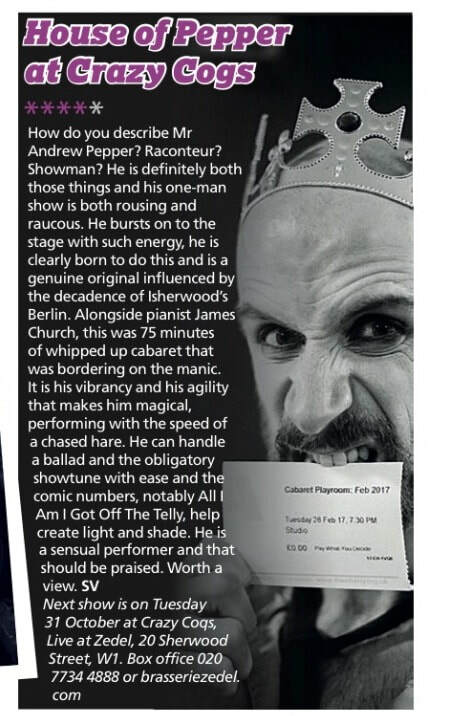 "DAZZLING AND METICULOUSLY EXECUTED DISPLAY OF SHAPE-SHIFTING SHOWMANSHIP". 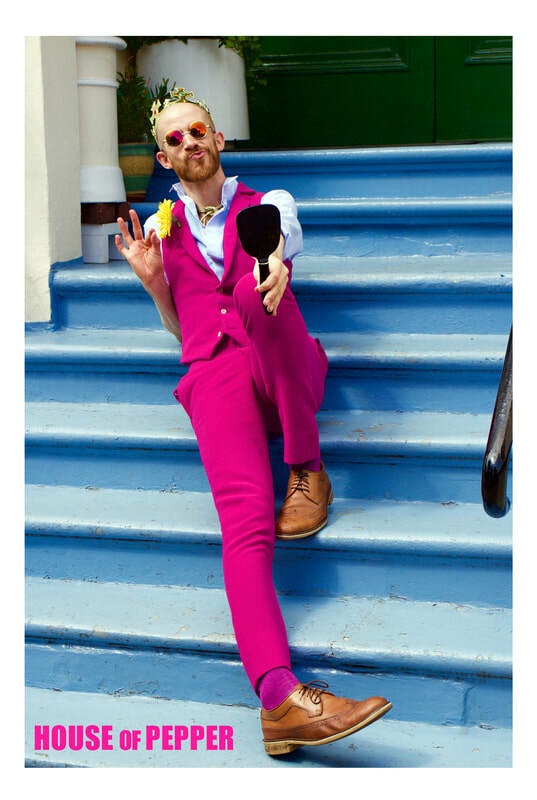 Returning to Live at Zédel for the first time since his sell-out debut, the caped* cabaret crusader will descend on The Crazy Coqs for one hot pink night. 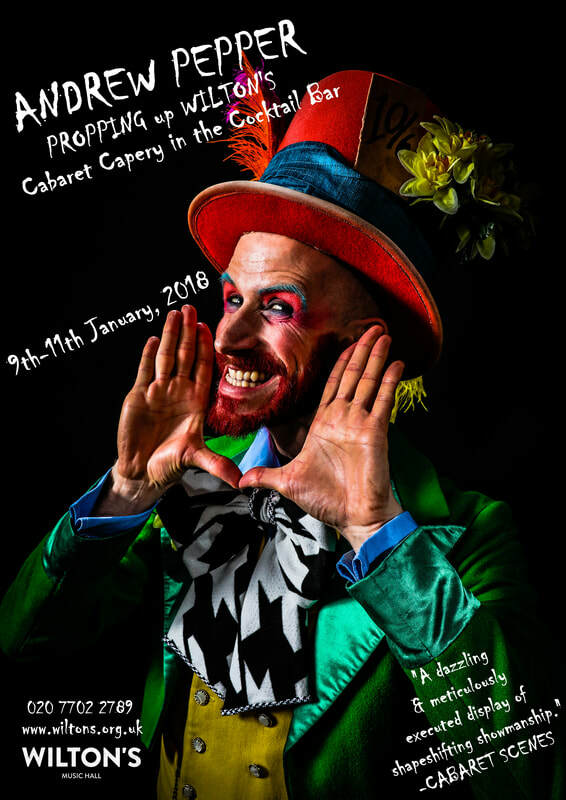 Expect highbrow nonsense, limby lunacy, contemporary dance, sophisticated song styling, less sophisticated song styling, show tunes, foot stomping and the splits. Welcome to HOUSE of PEPPER. 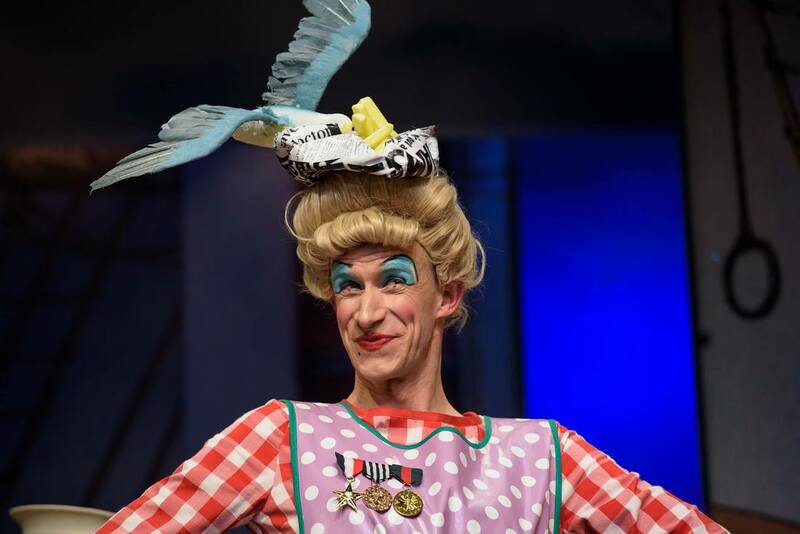 EARLIER IN THE YEAR, ANDREW RETURNED FROM A SECOND CHRISTMAS PLAYING THE DAME IN PANTO AT THE THEATRE, CHIPPING NORTON. THIS TIME, HE BE PLAYED THE MOTHER (!!!) OF THE TITULAR ROBINSON CRUSOE. ​HE PERSONALLY THINKS HE'S A BIT YOUNG TO HAVE ENTERED SUCH A CASTING BRACKET, BUT HE'S NOT COMPLAINING. OH, NO! Photography by the splendid Joshua Tomalin. Next up, Andrew will be descending on the impossibly cool HACKNEY SHOWROOM on account of his also being impossibly cool himself. BUT LISTEN UP, he's only going to be there for one hot pink hour on MONDAY, 18TH JULY. Just one hour. ​ONE HOUR, PEOPLE! Sixty hot pink and happening minutes. AND he's doing this for the bargainous price of £8*. He's never been so cheap. Splits, show songs, Brel, top As, foot stomping, hand holding, spiritual healing, the tightest trousers in Christendom and YOU! 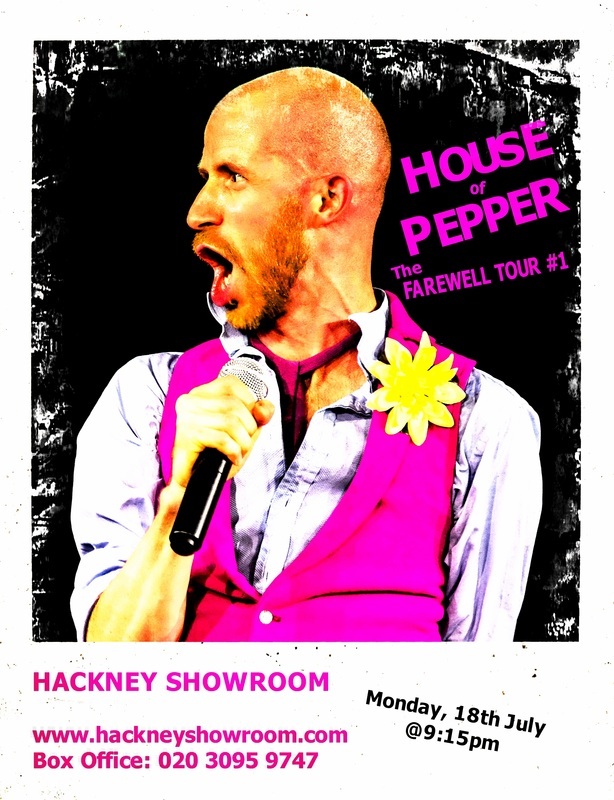 Welcome to... HOUSE of PEPPER (THE FAREWELL TOUR #1). N.B: He's part of the Edinburgh Fringe Previews season, although he's not actually playing Edinburgh this year. Just roll with it. ​* Ticket price includes complimentary pepper. Photography by the oh, so good Steve Best. ​IN JUNE 2016, ANDREW PRESENTED HIS FIRST EVER SOLO SHOW CREATED SPECIFICALLY FOR THEATRE. IT WAS A "THEATRE-CABARET HYBRID"; A BEAUTIFUL HYBRID; THE THEATRICAL EQUIVALENT OF A ZEBROID. OR A WHOLPHIN. OR MAYBE EVEN A GEEP. THE SAME SHOW AS ALWAYS? OR WILL TONIGHT BE DIFFERENT? WILL TONIGHT BE THE SHOW TO END ALL SHOWS? ​IN CHRISTMAS 2015 ANDREW WENT TO THE THEATRE, CHIPPING NORTON AND HAD A RUDDY MARVELLOUS TIME PLAYING (FOR THE FIRST TIME) THE DAME IN PANTO. IT WAS A MARATHON. HE PERFORMED THE ROLE 33046* TIMES AND HE HAD A BALL. On Monday, June 8th, 2015, Andrew made his debut at The Crazy Coqs (Live at Zédel), accompanied by boy wizard James Church. ​Photo up at the top by that there James Millar.